Four decades ago, the California Central Coast had yet to emerge as one of North America's world-class winegrowing regions. With little history or viticultural precedent, planting on the Central Coast was a gamble. One of an early handful of pioneers, Jerry Lohr was among the first to realize the vast, untapped potential of this now-acclaimed region with the establishment of J. Lohr Vineyards & Wines. In the late 1960s, Jerry began an extensive investigation of California grape growing regions while searching for the ideal location for a vineyard. Raised on a South Dakota farm, his agricultural roots armed him with an innate sense for the intricacies of climate, soil quality and location. His research and instincts led him to the Central Coast, a unique location with one of the longest growing seasons in all of California. Selecting the Arroyo Seco appellation of Monterey County for his first vineyard, Jerry planted his original 280 acres of winegrapes in 1972 and 1973, and unveiled his San Jose winery in 1974. Borrowing a lesson from the French--that great Chardonnay and Cabernet Sauvignon excel in very different growing conditions--Jerry began planting Cabernet Sauvignon and other red varieties in San Luis Obispo County's little-known Paso Robles region in 1986. With the hands-on devotion of an artisan farmer, Jerry tended to the vines while diligently working toward the creation and development of an adjacent winery and barreling facility, which was completed in 1988. 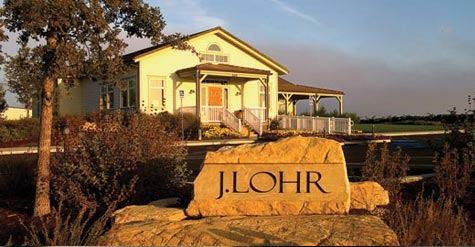 J. Lohr benefits from the longevity of its talented management team and the passion of a second generation of the Lohr family--key factors that make J. Lohr one of the few family-owned, estate-focused wineries of its size, and one of the last substantial independents. Though it is operated with the loving care of a boutique winery, J. Lohr welcomes guests at two wine centers, one in San Jose and another in Paso Robles. Jerry Lohr Since 1972, Jerry Lohr has pioneered premium winegrowing on California's Central Coast. In doing so, he has made J. Lohr one of America's most renowned wineries, and helped to establish Monterey County and Paso Robles as two of the world's great winegrowing regions. In addition to being a tireless advocate for the Central Coast, Jerry works on behalf of the entire industry. He served as the chair of Wine Institute, and was a co-founder Wine Vision and the National Grape and Wine Initiative. As J. Lohr's founder, Jerry remains actively involved and manages the company's extensive estate vineyard holdings in Paso Robles, Monterey County's Arroyo Seco and Santa Lucia Highlands appellations, and St. Helena in the Napa Valley. Our People J. Lohr is also guided by the acumen and commitment of a second generation of the Lohr family. CEO and Chairman Steve Lohr is responsible for the overall management and strategic planning of J. Lohr Vineyards & Wines. Cynthia Lohr spearheads corporate and product visibility efforts as vice president of marketing, and Lawrence Lohr advocates for wine appreciation as director of wine education. Together, Steve, Cynthia and Lawrence have joined Jerry to ensure family involvement in the winery (and the involvement of J. Lohr's extended employee family) for generations to come. Working alongside the Lohr family is one of the most experienced and dedicated teams in the wine industry. This talented team of individuals, many of whom have been with J. Lohr for decades, includes President, COO and Director of Winemaking Jeff Meier, who has been with J. Lohr for more than 30 years, creating wines that are the artistic expression of the family's vision. Rounding out Jeff's skilled winemaking team is Red Winemaker Steve Peck. Together, their collective technical knowledge of winemaking practices and viticulture and fermentation science define a breadth of know-how and passion that is unrivaled in the industry. This Pinot Noir is darkly colored with layered aromatics of black cherry, anise and camphor. The attack is subtle, while dense and graceful at once. Cardamom spice and sandalwood linger on the finish.Try with pan-seared sesame tuna, grilled portabella mushrooms or your favorite charcuterie. Wine Enthusiast 90"Black cherry, smoke and a hint of caramel make for a very familiar and satisfying nose on this well-priced bottling. There is a deep core of black currant fruit, with chalky tannins, a dense mouthfeel and abundant acidity that drives into the finish." nviting aromas of blackberry and a bouquet of hazelnut from French oak aging are followed by juicy flavors of ollalieberry on the palate. Petite Sirah is known for bold astringency and the 2014 Tower Road doesn’t disappoint.